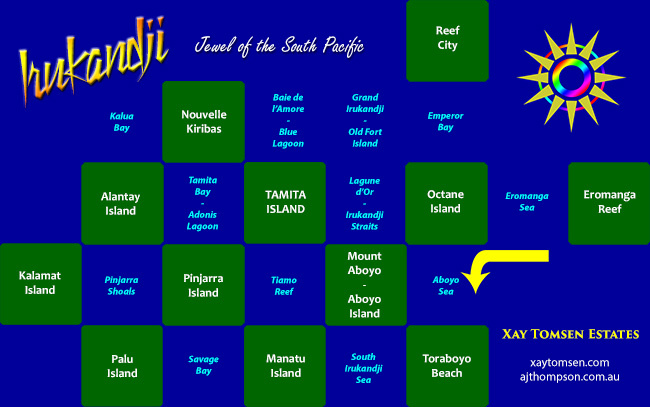 Aboyo Sea was a simulator in Eastern Irukandji on the InWorldz virtual world during late 2014. A deepwater scenic region, it existed to provide waterfront to residents on the neighbouring sims, Aboyo Island and Toraboyo Beach. Being open ocean with no remarkable land features, it seems that no photos were taken of Aboyo Sea. If you happened to have visited there and took photos and wish to share them on this page, please let me know via the comment section below.